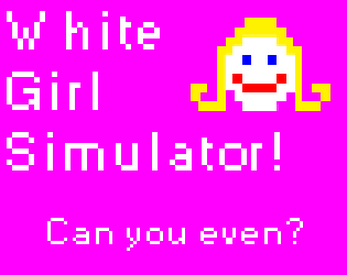 This game attempts to shed light on a problem facing millions of white girls every day. They can't even. This game is intended to take the player on a empathetic journey to shed light on this important issue. Just click on 'even'. How hard could it be to even?